Thanks to the action of the Greens/EFA Group in the European Parliament some holes have been opened in the mainstream orthodoxy. But we are far from being protected from another systemic crisis. The financial sector continues to blackmail governments and traditional parties. Taxpayers are still paying for the mistakes of the banks. 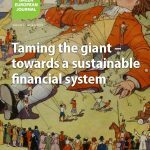 Green European Journal: Five years after the beginning of the financial crisis, has Europe implemented the reforms that would really enable our economy to avoid another systemic crisis? Philippe Lamberts:It is quite obvious that we are not at the point where we can look the citizen in the eye and tell him or her that from now on, the idea of socialising losses and privatising profits is definitely behind us. We are still faced with financial institutions which are too big to fail, and can blackmail democratically-elected governments on a permanent basis. One could even argue that the institutions that were too big to fail and that survived the crisis have become even bigger today. We have imposed some measures on the financial sector. But, fundamentally, it is still calling the shots. We can witness that in the recent negotiations on the Bank Recovery and Resolution Directive, where European Peoples’ Party (EPP) MEPs, as well as the Social Democrats (S&D), were quite reluctant to accept the idea that if private investors are making stupid mistakes, then they should pay, and not the taxpayer. In that sense, reforms are not going as far as they should go, if we want to avoid the 2008 scenario. Is it the result of efficient lobbying or of fear of the governments? Many mainstream parties claim that they want the private sector to pay for its mistakes, but when push comes to shove, they still are very reluctant to do so. They prefer that the taxpayer pays. Recently, SNS Bank, the fourth-biggest Dutch bank, has been in severe difficulties and had to be rescued. After involving shareholders the Dutch government was still €2.7 billion short of being able to rescue the bank. Then they had to choose either to involve bondholder money or to ask the taxpayer. They chose the latter, because they were afraid that involving the junior bondholders would send a signal to the capital markets that if you are a senior bondholder, your money is not 100% guaranteed and that you may lose your money if you don’t invest wisely. So they send the signal that if investors invest in poorly-managed banks, then it is the taxpayers who are on the hook. That was the political decision made by the political majority in the Netherlands, by a government which is a predominantly Liberal. Right-wing governments are all in favour of market discipline, except when market discipline can hurt private market players. There is a lot of lobbying going on by the largest financial players and that lobbying is successful. Their main argument is that, if the private sector were to really pay for its mistakes, it might be disruptive for all of society. That is the blackmail argument. It is really just scaremongering, but it is successful. Are you sure that if you were the next Green Belgian finance minister, you would have a different attitude in the same situation? Absolutely. But that means, of course, that we would go against a number of vested interests. The problem is that if one country has that kind of discipline, and all the others do not, and if you have too much interdependency, well, that might be difficult. Iceland imposed very harsh losses on private creditors. As a result, it found itself totally isolated, and did indeed suffer a backlash in terms of reduced economic wealth. But right now the country has got over it, and has started on a stronger footing. In that process, private creditors paid. And that’s basically what we as Greens would try to do. But discipline for private financial market players in just one country, especially a small one, does not really work, because they can hit back at you. But if Europe does it together, then we have the critical mass to impose our will on market players. Right-wing governments are all in favour of market discipline, except when market discipline can hurt private market players. This is another argument, of course, for stronger Green parties, isn’t it? Of course. To some extent, I have often felt that the Greens were the last market liberals in the room. Many mainstream parties remain in a position where they still agree that they are market liberals as long as the market is profitable. When markets become loss-making, then taxpayers have to pay. The Greens do not want to trust every bit of human activity in the market – certainly not. But for the parts of human activity that are entrusted to market logic, then market discipline is the one that makes mistakes, that covers the losses. And I am afraid to say that right now, mainstream political parties are full of discipline when it comes to governments, but conversely they forget the word “discipline” when it comes to market players. This Green attitude, of being open-minded to markets and so on, was one of the conditions of being successful in the European Parliament. Could you sketch out the main results of Green activity in the European Parliament, not only on banking regulation, but also on the fight against tax havens? If you want to put it in a wider perspective, all successes have been limited, because we are not the number one party in the European Parliament, but our work is important in the sense that we have opened holes in the orthodoxy. Firstly, we managed to obtain the first ban on a financial product. In Europe you can no longer do what is called a “naked credit default swap” on sovereign debt. Up until then, it was possible for an investor to bet on the default of the government, just as if, as an individual, you could insure yourself against a fire in your neighbour’s house. You cannot take insurance against a risk you are not exposed to, because you would have an interest in the risk materialising. In the market economy this is illegal, but in the financial markets it is legal, except in one domain, which is sovereign debt. This success ran contrary to the logic that financial innovation as such is good. We said no: as governments have the power to ban some food products, some chemical additives, if some financial products prove to be toxic, we should be able to ban them. That goes totally against the dominant logic that “markets know better”, that you have to “unleash” the creativity of market players, so that everyone ultimately benefits. That’s the first dent. if Europe does it together, then we have the critical mass to impose our will on market players. The second dent that we made was in the field of fighting tax havens. Tax fraud, tax cheating and tax optimisation are the most lethal instruments that undermine democracy, because they deprive elected governments of the means to carry out their policies. This is an area that, in theory, the European Parliament has nothing to do with, since we are not legislators on taxes. Yet we succeeded by including in the Banking Directive the principle that we should at least force the banks to disclose their operations country-by-country. This new legislation will force the banks to disclose each country in which they operate, under which legal structure they operate, how much profit they make, how much tax they pay, how much they receive in subsidies, and with how many people they do all of this. That means that, for instance, major financial institutions such as Deutsche Bank or BNP Paribas will need to disclose that, for instance, in a given Caribbean island, they may have fifteen legal entities which are making billions in revenue – hundreds of millions in profit – on which they pay almost no tax, and they do all this with maybe half a full-time employee. This is the first step in fighting tax havens, as it makes the problem visible. And where there is visibility, it becomes more difficult for elected governments not to act. And this is something that we will feel the consequences of within two years? It becomes applicable on January 1st 2015, so quite soon. So there, we made a dent in the dogma that you cannot force transparency from institutions. This “veil of secrecy” is what helps tax fraud and evasion. There is a total blockade on many other taxation issues because it’s entirely in the hands of the Council of the Heads of State and Governments, and, therefore, in the hands of the finance ministries. Since it requires unanimity to get anything passed in the Council, one member state alone can block everything. And that is the elephant in the room. Thirdly, there is the issue of remuneration. The revenue created by these “too big to fail” institutions, who can blackmail elected governments, is translated into gigantic profits that are first distributed to the managers and second to the shareholders. On this issue, that made a name for me in the City of London, we managed not to put limits on the absolute amount of remuneration, but at least on the leverage of that remuneration. We limited the amount of variable remuneration versus fixed pay. Europe has no involvement in setting wages; however, one of its competencies is tackling remuneration structures if it is proved that these structures have a systemic effect on the internal market. In this case, the high leverage of variable pay in proportion to fixed pay gives a very strong incentive for bankers to do stupid things. If things go wrong, the taxpayer pays. So there we put in limits, again, breaching the dogma that pay is not for governments to set, claiming instead that governments should have nothing to do with it. By the way: JP Morgan in the US and Deutsche Bank in Europe are currently facing very large fines for breaching the law during and after the financial crisis. But today these banks boast that they can pay these fines and still remain profitable. In other words, they make so much profit that, for them, breaching the law and then paying the fine is still good business. These massive financial institutions are still exporting money from society rather than contributing value to society. So, we have managed to put a dent in some of the dogma, but the most fundamental, that markets are good and governments are bad, still pretty much remains dominant in economics. The strategies of EU governments, the European Commission and the Central Bank are still predicated on the idea that the only way to get out of the crisis is (a) to reduce fiscal government debt by reducing your expenditure; (b) to restore competitiveness by reducing the cost of labour and what they call “reducing non-tariff barriers to trade,” that is, social and environmental health protection laws. There is no question of increasing competitiveness by decreasing the cost of the remuneration of capital, which in Europe is absurdly high compared to China. This remains the primary logic that drives the mainstream parties: the EPP, the Social Democrats and the Liberals. The Greens are one of the few who are really opposing this logic. However, we are still the fourth group in the Parliament. If we really want to subvert that idea, we will need to be one of the major parties not only in the Parliament but also in national governments. But let’s face it, the Greens are part of 4 out of 28 national governments, and we are junior political partners, not major players. And what is the attitude of the far left? Many of them would share our analysis. But they would rather do it from a balcony. In all the battles I mentioned, even though there was someone appointed by the extreme left to follow each of those legislative files, they were not taking part in trying to improve them. They often voted in the right way, but they didn’t put any effort into trying to shift the political balance of power in the European Parliament. Many of them would still expect the system to crumble under the weight of its own problems and then hope that, after the collapse, they would become strong and rebuild society from scratch. The Greens believe that (a) the collapse will hurt society in such a way that reconstruction will be much harder than a peaceful transition and (b) who can guarantee that the forces of good – to put it in a black and white manner – will endure after a collapse? If, with the far left, we share the concern about the threat of inequalities, only some of them share our analysis that we are not only facing a social time bomb, but also an environmental time bomb. They make so much profit that, for them, breaching the law and then paying the fine is still good business. Yes, the Greens are having some difficulties in showing the ecological dimension of this crisis. It is much easier to make that case in India or China where the ecological time bomb is much more perceptible than it is here. In Europe, by and large, you might think that we are pretty much insulated from the ecological crisis. Europe is still exploiting – and we are not alone in this – many finite resources and taking a share from them. But when we hit the limits of our planets hard – such as climatic or resource-related limits – European societies will be hit as badly as others. So you cannot dissociate the social and the environmental angles. Those who will be hurt first will be the weakest in society. You can’t solve the ecological challenges without meeting the social challenges. The two go hand in hand. We haven’t so far been successful enough in convincing people that our vision is solving the two at once. What are your priorities for the next European legislature and what kind of social and political alliances do we need in order to achieve them? Basically, our priorities are reducing the level of material inequality and our ecological footprint. But even if the Greens become the third force in the European Parliament, which is not really on the cards right now, that would still not be enough. So we need to build alliances, first and foremost within society and then in the political arena. In the trade union world, in the NGO world, but also in the business world, there are more and more people who have understood the breadth of the challenges we are facing, and people who are already implementing solutions. The Greens must appear as the primary political expression of those actors of change and then leverage that in order to build political alliances with people who share our diagnosis. Governments have two basic instruments at their disposal. One is regulatory: rules, laws, things you are permitted to do. But just talking about regulation is a complete illusion, if you forget the ‘M’ word: money. The key priority is to focus on the income side of the equation. What do we do to make taxation a real instrument of ecological and social transformation? What level of taxation for capital versus labour income? What kind of taxation for the corporate sector? Right now we are in a situation where small enterprises pay 35% or more, and large corporations pay 5% or less. What do we do to fix that? What do we need to put into place for environmental taxation? And whatever you do in terms in taxation, you have to make sure that taxes are paid where they have to be paid, and that’s the fight against tax erosion and tax evasion. That’s the number one priority, and it is an instrument that, by and large, escapes the reach of any state or government. And, of course, there is absolutely no way that increased European integration can be accepted and be acceptable, if you do not significantly establish or re-establish European democracy. Sovereignty has now escaped the people and come under the ownership of the financial sector. When the capital markets – or the people who run the capital markets – have greater sovereignty than democracies, then you really have a democratic issue. Until you solve that issue, further integration will not be acceptable to European citizens. And that will be a chicken and egg problem. You cannot dissociate the social and the environmental angles. Those who will be hurt first will be the weakest in society. You need further European integration to change the balance of power between democracy and the financial sector, but you cannot do that unless you re-establish democratic accountability on decisions taken at the European level. And quite obviously what has been done in the course of the Eurocrisis by the troika has actually been damaging democracy. We need to give credibility to Europe as stable, not to weaken democracy, but to reinforce it. And that of course is a difficult proposition. Yes, but what is the political feasibility of all this? One major political development that we have witnessed over the last months and years in Europe – especially after the German election – is the rule of the “grand coalition”. That is, the coalition of the mainstream political parties, which are supposed to be on the right and on the left. In Germany, you have an EPP and S&D majority. In Austria, Belgium and Netherlands, we have pretty much the same thing with the liberals. My real concern is that the next European Parliament will be dominated by the logic of the two main political parties. The main aim of resisting the extremes, particularly the extreme right, will continue, carrying on mainstream policies, while saying that, “well, we all have to unite in order to avoid the extremes taking over”. This would mean that the political breathing space for Greens will be more limited. That would be chilling for European debate. And if that becomes the case, the role of the Greens will be to demonstrate that there is a real political alternative, but that – compared with the extreme ones – has a realistic proposition to get from A (where we are) to B (where we need to be), that there is a group of people who have a viable alternative to mainstream policies, but also a credible one, in the sense that we propose concrete steps to go from where we are today to where we need to be, rather than to hope for a collapse of the current mainstream policies.